There was an interesting article in the Guardian today, about how much an author can make from writing books. It focuses on "proper" writers with agents and publishers, but is interesting to writers like me, who self-publish books. The full article is fascinating enough, but I've pulled out the real juicy bits - the parts about the money earned by the various writers reported on in the article, and those that volunteered information on their own writing incomes in the comments. The author of the article reveals that he was paid £12,500 to write his latest book, which doesn't sound like a lot, especially for a "real" author writing articles in the Guardian. He compares this to Jessica Knoll, who recently set Twitter alight after revealing that income from writing has bought her a Porsche and pays the bills for her $320-an-hour therapist. She seems to be at the very upper end of the scale, though. For example, one author from the comments reports their advance for an academic text book was £500, and there were no royalties yet, after two years. I learned in the comments that this is how it works with advances. The advance an author gets is pretty much the amount of money that the publisher thinks the writer will make - more or less - from the book. If the publisher happens to guess low, the author gets the difference in royalties, often years later. Five hundred pounds is obviously not a lot, but many, many authors are probably at this level of income, especially in the world of self-publishing. A ghost writer in the comments tells how they were paid what seems like a lot more, at £15,000 for one book and £12,000 for another, but that was the only money this writer earned in each of those years. So that's about a thousand per month - which sounds good, if you ask me - but from that, he points out, he has to deduct an agent's fee and income tax. His third book paid him a lot less, at only £3000. Another writer said the most he'd ever gotten for a book advance was $3000. There were no royalties in that case. The most that author has ever made off royalties is about $15 grand, over a decade. That's only 1,500 per year. This is an author who has written 12 books. He freely admits that his writing has never come close to being a living, and that seems to be a very common experience for a lot of writers. Another writer in the comments goes into more detail. They talk about a £1,500 advance for the book they have recently completed. They said that broke down into £500 on signing the contract, £500 on delivering the manuscript, and £500 on publication. There is the chance of 10% royalties on the cover price in the future, if sales are better than expected. Again this is hardly high-earner bracket income. 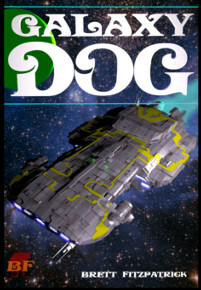 The ebooks I write are sci-fi novels. They belong to a series called Dark Galaxy, which starts with Galaxy Dog. In the comments, there is also an anecdote where a writer was offered £100 for updating a book on a political party with a new chapter. He didn't even bother. For the money, it just wasn't worth it. Then one writer talks about a huge range of payments. They say that their lowest advance was 2k and their highest 31k. That's such an enormous difference it's really confusing to me. 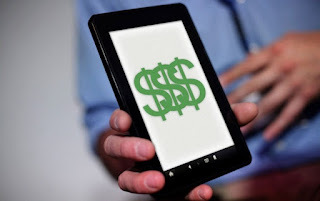 One author talks about making 100,000 pounds over twenty years writing business books, which initially sounds huge, but again it's only 5,000 pounds per year when you actually do the math. At the very bottom end of the scale, another writer talks of an advance of £100 and waiting seven years before making any royalties income. That writer says average writer income in the UK is 10,500 pounds per year, but something tells me that data is skewed. It sounds way too high to me, probably because it likely features predominantly professional writers, and excludes all us crazy people who self-publish our work. I guess the take away from all this is that self-publishing is not something to go into with any expectation of making a lot of money. Most people, me included, can not afford to give up the day job... not just yet, at least. We need your support, so keep buying our books. On that note... just a reminder that the best way to support this blog is to buy one of my books. Simply go over to Amazon, or Kobo and get one.